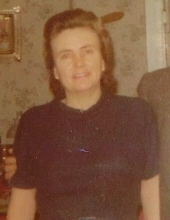 Nannie Bell Stinnett, 94, wife of the late W.I. “Dubb” Stinnett, of Union Mill Road, Nicholasville, passed away Sunday, April 7, 2019. Born in Jessamine County on November 6, 1924 to Riley and Linda Jane Locker Hager she was the owner and operator of Stinnett’s Grocery. She was also a lifetime member of Antioch Christian Church. She is survived by six children, Wallace (Betty) Stinnett, Wayne (RoAnn) Stinnett, Sheila Chatfield, Mary “Tylie” Arnold, William Stinnett and David (Deborah) Stinnett, 12 grandchildren, 25 great-grandchildren and 15 great-great-grandchildren. She was preceded in death by nine siblings and one great grandchild, Chandler Flora. Services will be 1:00 PM Thursday, April 11, 2019 at Betts & West Funeral Home with Pastor Clint Hurt, Bro. Bill Bales, Pastor Wayne Johns and Pastor Ron Riley officiating. Burial will follow in Maple Grove Cemetery. Grandsons will serve as Bearers and Honorary Bearers will be all grandchildren, great-grandchildren and great-great-grandchildren. Visitation will be Tuesday from 4-8 PM and Wednesday from 3-8 at the funeral home. To send flowers or a remembrance gift to the family of Nannie Bell Stinnett, please visit our Tribute Store. "Email Address" would like to share the life celebration of Nannie Bell Stinnett. Click on the "link" to go to share a favorite memory or leave a condolence message for the family.